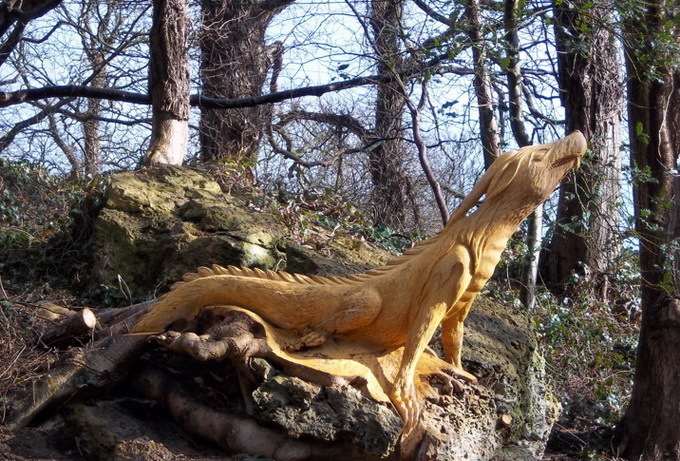 British chainsaw tree sculptor Tommy Craggs has gotten a lot of attention lately for enchanting sculptures that he has left in a publicly-accessible forest in northern England. 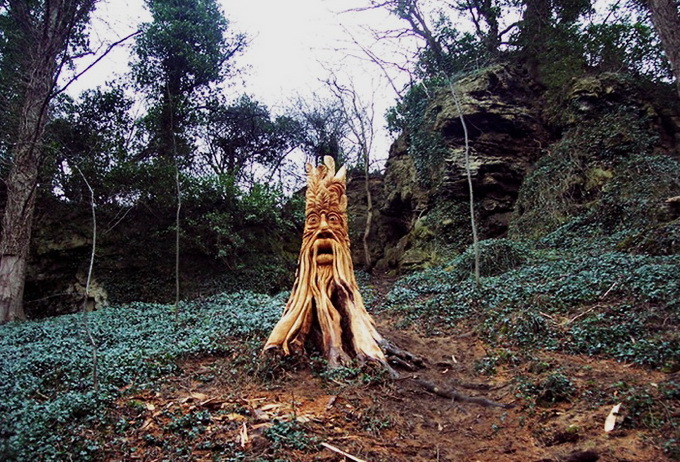 Because his identity was a mystery until recently, locals called him the “Yorkshire Banksy”. 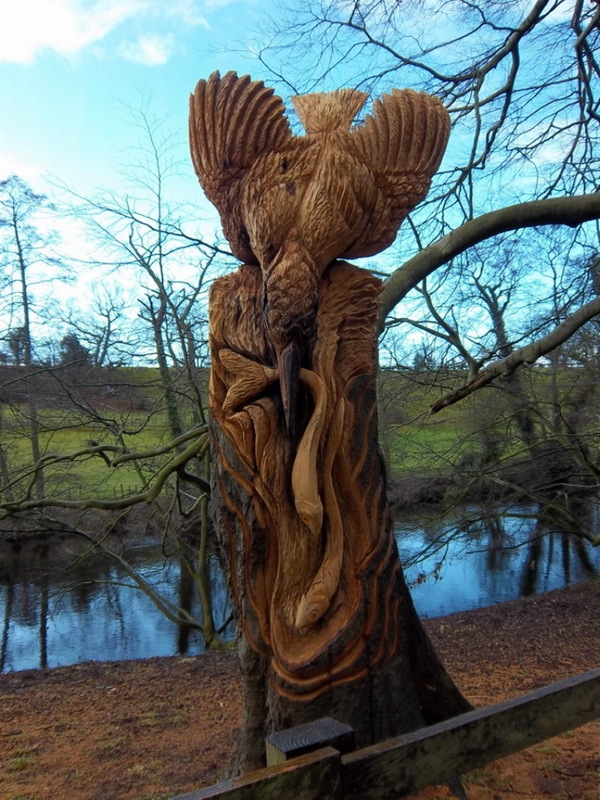 Due to the mystery of his identity, a tree sculptor in the English town of Knaresborough, North Yorkshire has been popping around town for the past few weeks, transforming various tree trunks into massive works of art. 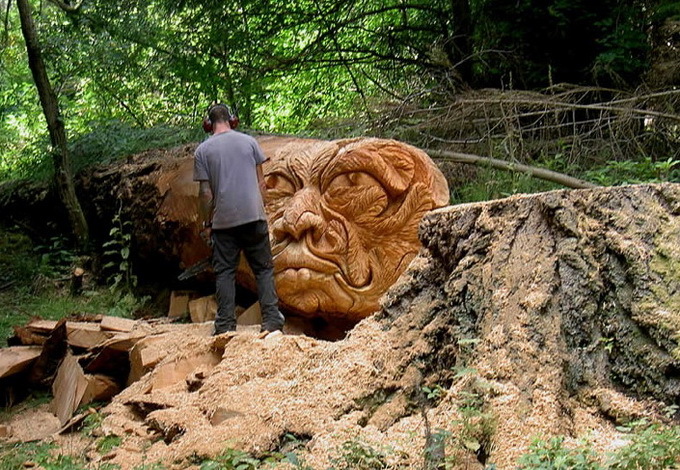 When the BBC decided to knock on neighbors’ doors, they got some answers and almost two months after the first sighting, the mystical creatures, animals, and other various forms were credited to chainsaw tree artist Tommy Craggs. 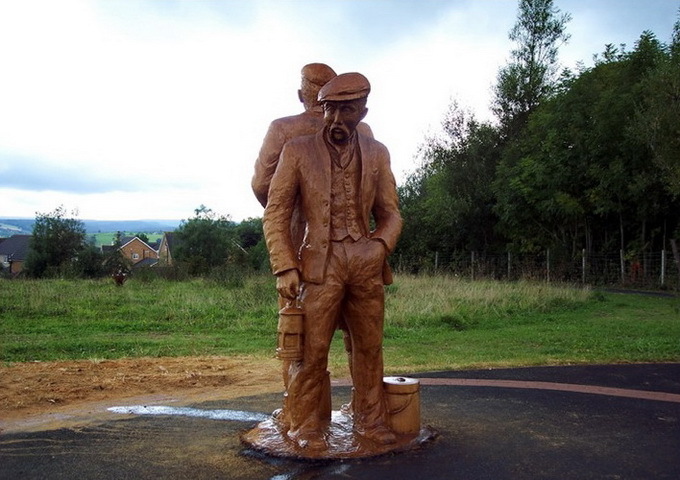 Craggs is an award-winning sculptor who merely “forgot to sign the artworks.” So the mystery wasn’t intentional but the oversight did provide the town with quite a conversation piece for a few months! 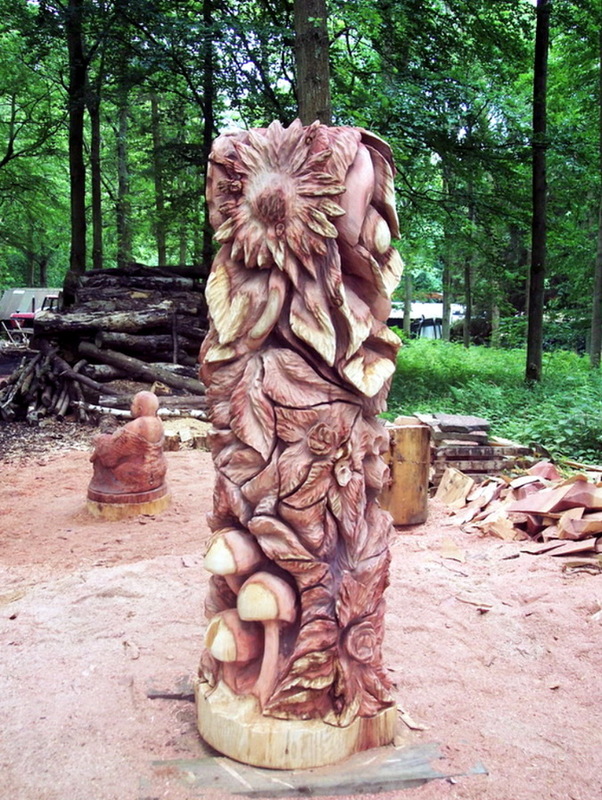 Previously a professional tree feller, the artist eventually turned his creative skills and his ability with a chainsaw into something magical. 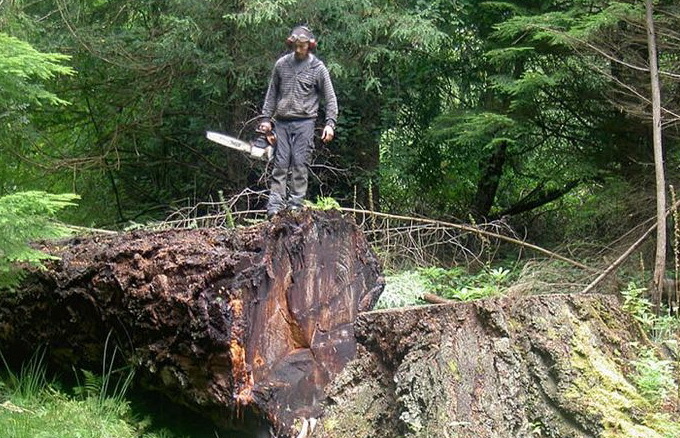 He now travels around the world making a living with this tree sculpting artform.